(MENAFN - PRLog) Effective branding, content, and marketing designs are as essential to successful Broadway productions as the production itself, yet often these are people whose stories are rarely heard. Valev Laube - Multimedia Producer & PR Executive MANHATTAN, N.Y. - Feb. 1, 2019 - PRLog -- Valev Laube is one of these creative geniuses who started as a graphic designer and worked years as an agency designer for large corporate and luxury designer brands. Little did he know that in just a few years he would transition to working on a freelance basis for an upcoming Broadway production, and helping already well-established composers, actors, and producers across New York City elevate their brand presence in the age of social media. 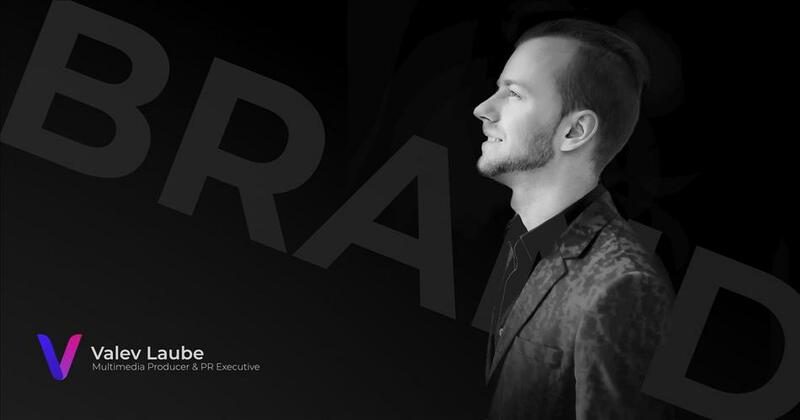 Originally from Estonia, Laube is a New York-based multimedia producer, designer and PR executive working with clients such as a composer, and orchestrator FRED BARTON , pianist and musical director of "Spamilton", upcoming musical production KALEVALA THE MUSICAL (https://www.kalevalamusical.com/), actress-singer KRISTI ROOSMAA (https://www.kristiroosmaa.com/), actress-producer JOLIE CURTSINGER (https://www.joliecurtsinger.com/), INPROXIMITY THEATRE COMPANY (http://inproximitytheatre.org/), and various event promotions for production at 54 Below, and the Green Room 42. "Projects can vary, but I never expected to get to know so many talented people and become involved in productions that I only wish I could have visited as a member of the audience," commented Laube. Laube moved to the United States in 2014 to pursue his studies at the University of Rochester, while simultaneously gaining further experience as a freelance designer, and design manager at Sacatelle, LLC. Throughout the years he managed to have an input in multiple projects for big names such as Kenneth Cole, Steve Madden, Janet Gordon Style among many others. His path to Broadway productions wasn't an accident since Laube has a background in music and even co-produced a multidisciplinary concert with a dancer-choreographer Diina Tamm (https://www.diinatamm.com/) in 2017 at the National Gallery of Art. "I feel like it was simply natural for me to transition into something that merges my two biggest passions – music and design. Web design and online brand building was something that came later but play an equally important role in my works since the first brand exposure that a visitor gets are sometimes even more important that the whole website, poster, or any other element in branding," said Laube. Currently, Laube's specialty includes company and personal branding, social media consulting, marketing and public relations, and we cannot wait to see more creative production come out of this upcoming creative's arsenal.